MesurACC Label Typography Tool for the food product labels | ACC Label Inc.
MesurACC is a food labelling typographical tool created by ACC Label to verify food labels with respect to the various typographical requirements of food labelling regulations. MesurACC won the 2016 SIAL Innvovation Award for the Equipement, Packaging and Technologies product category. Click here to order your own MesurACC. US Nutrition Facts table (NFT). The 1 point rule is required above Calories in the Canadian standard NFT. 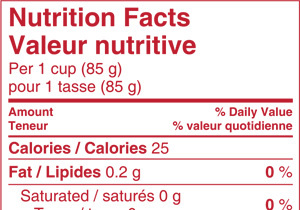 The 2 point rule is required in the Canadian standard NFT, below the serving size declaration and above the vitamin declaration. The 3 point rule may be used to measure the spacing required between the outer box outline of the Canadian NFT and the text enclosed. 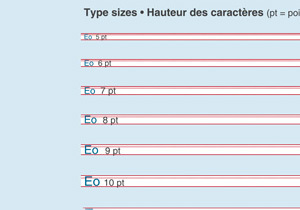 Type height for different point sizes of Helvetica® font (for uppercase and lowercase letters). 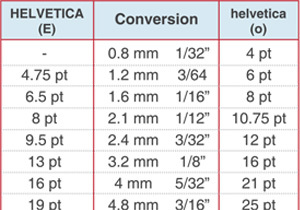 Clear see through polymer allows to measure, between lines, type heights on printed material. 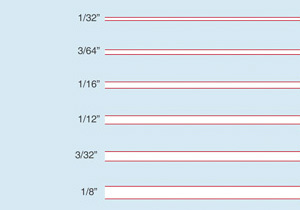 Measures shown in both millimetres and fractions of an inch. 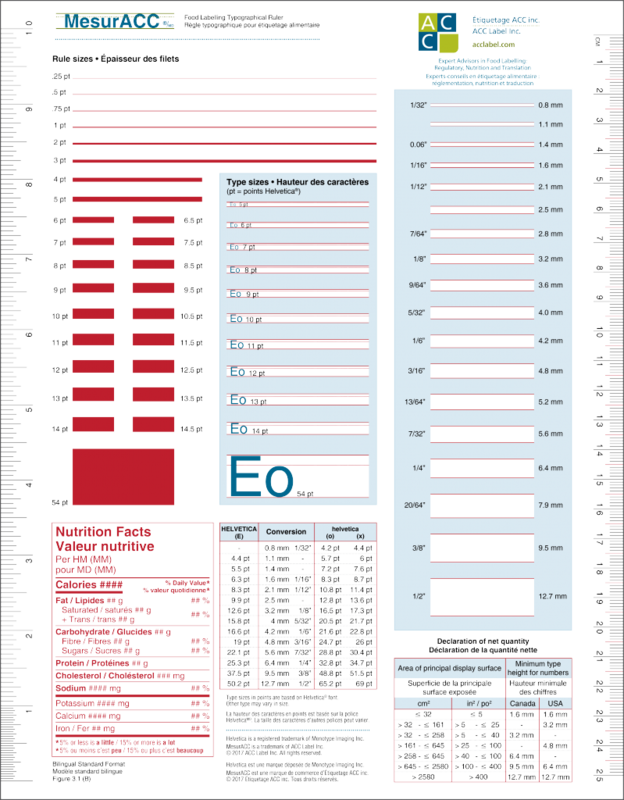 By overlapping this Nutrition Facts table over the one on the printed label, one can easily verify whether all the typographical requirements are met. 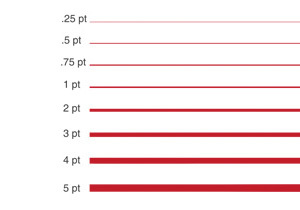 Conversion of Helvetica® font sizes in points versus mm and inches, for uppercase letters (left-hand column) and lowercase letters (right-hand column). 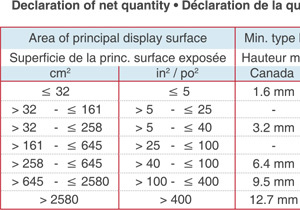 Table of Canadian and USA minimum type requirements for the net quantity declarations, based on the packaging dimensions. 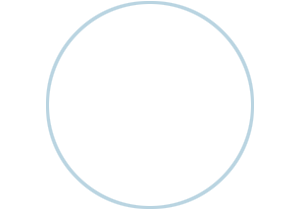 Buy your MesurACCTM with the secured PayPal platform.